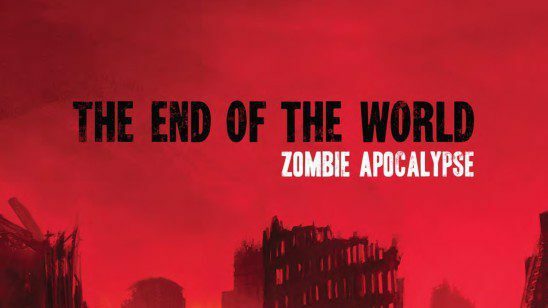 The first in Fantasy Flight’s End of the World series, Zombie Apocalypse is a game about… well, you know what it’s about. The dead rise, and you must fight to survive or have your brains devoured. Zombie survival stories are natural fodder for roleplaying games, and Fantasy Flight has a decent track record in the medium, so you might easily assume this game would be good. You would be grotesquely wrong. Zombie Apocalypse’s default mode is for players to play themselves. Unusual, to say the least. Players assign stats based on what they believe their own capabilities to be. Then the group secretly votes on whether those stats are too high or too low. While this might appeal to some, it is awkward and unpleasant for others. No one likes assigning a four to their intelligence, only to find everyone else thinks they have a three. Beyond that, playing one’s self makes the game far more personal. You might berate the party thief for failing to unlock a door, but when that thief is supposed to be your best friend, it cuts much deeper. What was harmless banter suddenly becomes unkind. And that’s not even considering character death. Neither are there rules for making more advanced characters who have already been through the initial apocalypse, something that seems like a natural use for such a system. Walking Dead fans will be sorely disappointed. I often complain about abilities being too narrow in their application. Call of Cthulhu and Burning Wheel both have this problem, with skills that are so specific as to be useless. Zombie Apocalypse is the first system I’ve seen with the reverse problem. There are only six characteristics in Zombie Apocalypse, and they are incredibly broad. Someone with a high Dexterity can fly a plane, drive a truck, shoot a gun, and crochet a mean doily. A high Logic makes you a master of every academic field and also a computer wiz. Each characteristic covers such a wide variety of tasks, characters can do just about anything with a fair chance of success. First, this is ridiculous. You might be a lifelong truck driver, but according to the rules you’re also a champion ice dancer because of a high Dexterity. Second, it makes planning a scenario difficult. Because PCs can do almost anything, they have little incentive to stick with the content you planned. Perhaps you wrote out a story where PC Jen is supposed to use her Logic to hack some CDC servers looking for a cure to the zombie virus. But Logic is also the characteristic used for building stuff, so Jen decides to stay home and fortify her compound instead. Because characteristics are so broad, PC behavior is even harder to predict than normal. Zombie Apocalypse is a game about society breaking down, so gear is important, especially consumable gear. Your character won’t have easy access to food, water, ammunition, or medicine. The book makes a big point of this and then assumes you’re going to keep track of everything by hand. Yeah, that’s not going to happen. If you thought marking off arrows in D&D was irritating, just imagine how much fun it’ll be to track 7.62 rounds on a fully automatic AK-47. Then you have to consider calories, hydration… It’s a mess. Not every game needs gear rules, but Zombie Apocalypse is specifically about the collapse of human civilization. All the best zombie stories feature shortages of some kind, and the game’s flavor text understands that, but the rules don’t support it. This might have been acceptable a decade ago, but not anymore. Fantasy Flight loves its weird die mechanics. At least this time you don’t have to buy proprietary dice; normal d6s will do. But that’s the only good thing to be said about it. Every roll is opposed by a pool of dice from the GM, even rolls that would be against static difficulties in most systems. Success or failure is based on how many player dice match with the GM’s dice. Because of this strange matching system, the GM has to roll separately against each character attempting a roll. You can’t simply name a difficulty number and have everyone roll against it. That’s a really important GMing tool, and Zombie Apocalypse makes it incredibly cumbersome. Anytime you say “Zombies burst through the door, everyone roll to avoid their hungry mouths,” prepare for several minutes of tedium. In Fantasy Flight’s Star Wars game, the unusual die mechanic at least accomplished something. Different symbols on the dice influenced not just success or failure but also how the result was narrated. Many GMs found it very helpful. Zombie Apocalypse’s system contributes nothing and makes the whole process more difficult. Amidst all the terrible, Zombie Apocalypse does have one thing going for it. The way PCs take damage is really neat. All damage is abstracted as “stress,” and it has no ingame effect until the character takes a moment to examine how badly they’ve been hurt. Then the stress can be converted into a trauma, which does have mechanical effects. For example, PC Bob recently tussled with a zombie and took three points of physical stress. He takes a moment to check himself, and discovers the zombie’s blows left him with a Bruised Ribs trauma. If it were mental stress from leaving a fellow survivor behind, he’d get Survivor Guilt instead. Why would a PC ever want to give themselves traumas? Because if your stress gets too high, your character dies. Physical stress will mean a literal death. Mental stress might represent complete catatonia, while Social stress could manifest as the character believing they’ve become one of the undead. PCs can ride the edge if they feel like living dangerously, seeing how much stress they can accumulate without gaining any trauma. It’s a very cinematic system, with damage only mattering when it’s dramatically appropriate. Now, back to the terrible. Much like Dungeon World, Zombie Apocalypse has few special rules for combat. No initiative, no special movement rules, nothing. PCs all go in whatever order they feel like, then the bad guys go, rinse and repeat. There are almost no player decisions whatsoever. Combat is also very long. A world class marksman with a shotgun will take at least two turns to kill a single zombie. Most survivors won’t be that good at fighting, and zombies come in hordes. Long combats without player choices mean boredom. A lot of it. It’s not clear why zombies even have hitpoints. Everything else in the game is resolved with a single, abstract roll. Why is killing a zombie different? Whatever the reason, the rules mean that fighting the undead is the least interesting thing in this game. To make matters worse, it’s nearly impossible for characters to avoid getting infected. There’s no defensive roll, only the zombie’s attack, and any damage can result in infection. That might work if the rules were about avoiding conflict with the undead, but they’re clearly written with the assumption that you’ll be slugging it out toe to toe. If you want to play more than a one shot, you’ll have to tangle with Zombie Apocalypse’s advancement rules. They are… unique. At the end of every session, for each character, the group votes on one characteristic to raise and one characteristic to lower. If that sounds strange, it is. This isn’t so much advancement as redistribution. For a second time, Zombie Apocalypse presents the unique reversal of a common roleplaying problem. I’ve spoken before on the problem of treating PC experience as a continuous upward curve, and here we have a system that does the total opposite. It turns out that neither extreme works very well. Characters don’t advance or become more capable in this game; they just rearrange their stats. A 20-year veteran of the zombie war is no more capable than a fresh-faced civilian, and that’s a problem. At some point, players want to see the numbers on their sheet go up to track progress, and they can’t get that here. More than half of Zombie Apocalypse’s page space is taken up by different scenarios. You can fight plague zombies, evil spirit zombies, even alien bug zombies. At first this seems like a good thing. Who doesn’t like a little variety in their living dead? The problem is, each scenario looks remarkably similar to the one before. Every scenario has a “What are the Player Characters Doing?” section, and they all start with some variation of “trying to survive.” That gives you an idea of how repetitive these are. They all follow the same basic format. The dead rise, humans panic, shoot them in the head, society collapses, etc. Aside from variations of where zombies come from, they’re nearly identical. The only scenario that’s really different is where an evil conspiracy of Voodoo priests cause the dead to rise. Yeah. Cultural sensitivity was not a priority, it seems. There’s even a callout about how this isn’t meant to represent real Voodoo. If that’s the case, they should have called it something else. The scenarios could easily have been pared down to a broad framework and a few paragraphs detailing different options. Zombie scenarios are straightforward; they don’t need much explanation. Zombie Apocalypse is good for exactly one thing: playing yourself in a one-shot about the dead first rising. The rules for this could be condensed to one or two pages. Unfortunately, the game thinks a lot more of itself. The book is full of text about alternate ways to play, from extended campaigns to taking on the role of elite anti-zombie soldiers. None of that is supported in the rules. Minus all the dead weight, Zombie Apocalypse could be sold as a $5 indie game. Fantasy Flight wants $40 for it. There’s a gem of quality in the hitpoint system, but it’s not enough. Give this game a pass and spend your money elsewhere. The weird thing is, even though I agree with everything you’ve written in your review, I still love this game. I’ve written up pages of house rules to address all the flaws you pointed out, and I keep tinkering when I find something else clunky under the hood. But something about the dice mechanic appeals to me. I like the idea of players looking at a situation and figuring out what works in their favor, opposed by the GM figuring out what doesn’t. All that can represented in one dice pool, the results of which can then be narratively intepreted to drive the plot forward. And I know many other modern games do the same thing (another review called this game ‘a poor man’s FATE’), but something about this implementation really spoke to me. Which brings me to the one tiny nit I have to pick with the review: ‘The Stats Are Far Too Broad.’ The most important thing determining whether or not a PC can accomplish a task is not their stats but their Features, a collection of descriptors–both good and bad–that tells you what your character can or can’t do. Positive Features (‘Ace Pilot,’ ‘Kung-fu Badass) add positive dice to a pool, while Negative Features (‘Scared of Heights,’ ‘Hates Conflict’) impose negative dice. To succeed, positive dice have to roll under the applicable stat, without being cancelled out by negative dice. I think it’s neat, simple, and really flexible. Everything else you wrote is spot-on. A great review; very insightful. I have a friend who has difficulty walking DOWN a flight of stairs. Walking up requires rest stops. How are they supposed to outrun a pack of zombies? If you require a certain medication for whatever reason, do you really want to play out what happens when your supply is used up? This is definitely a potential problem, for a number of reasons. First there’s the issue of abled people thinking that disabled people are way less capable than they actually are. Things could get ugly fast if the rest of the group objected to the way a disabled player rated their stats for that reason.